Welcome to Richard Boyd Art Gallery an owner operated fine art gallery located on Peaks Island in Portland, Maine. 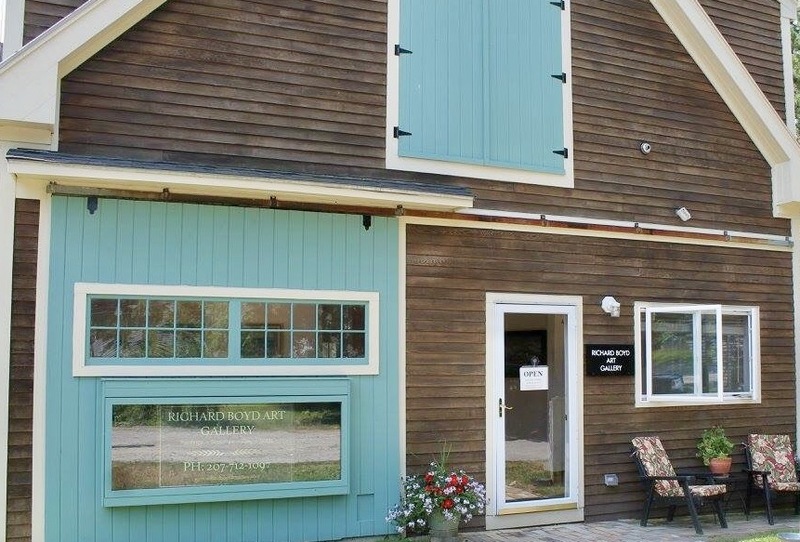 The gallery represents a diverse group of established and emerging visual artists, with a connection to the state of Maine, working in a range of styles from realism to abstraction, in both two and three-dimensional mediums. The gallery exhibits original paintings from a variety of genres including landscapes and still life, limited edition bronze sculptures, and a select offering of works in glass and clay. Exhibitions change monthly and include solo, group, and theme exhibits, so clients and visitors always discover something new and exciting when visiting the gallery. Richard Boyd Art Gallery is open free of charge year round. During the months of April through October the gallery is open between the hours of 10:00 a.m. and 5:00 p.m. daily. From November through the end of March the gallery is open every Friday, Saturday and Sunday between the hours of 10:00 a.m. and 3:00 p.m. Additional days and times by chance or scheduled by appointment.